3.25 Ct Lab Alexandrite Diamond Accent Sterling Silver Ring! Only $12.99! That’s 88% off! 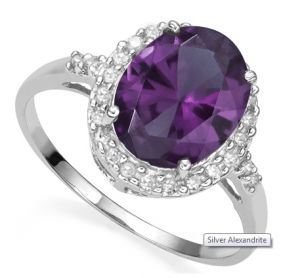 Hurry over to one sale a day and grab this 3.25 Ct Lab Alexandrite diamond Acent Stirling Silver Ring for only $12.99 (retails for $99.99). That’s a savings of 88%! Hurry it’s only up for 2 more hours and these things go fast!! Good luck, I hope you guys get one too!